Wandering on the Internet I found an interesting LZ1AQ kit about a broadband antenna amplifier for small antennas. I immediately felt that it was a great product also saw the multitude of schemes and research carried out by Chevdar. 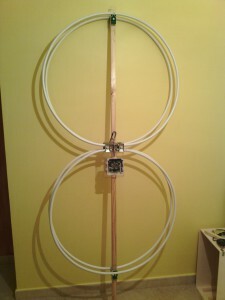 I then bought a kit AAA and started with the construction of the antenna. These pages show how I adapted a AAA to my situation, for more details on the theory and the operation I invite you to visit http://www.lz1aq.signacor.com/. 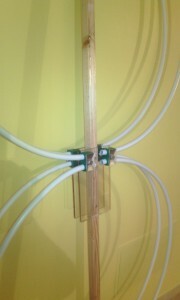 To build the two loops I used a multilayer tube for heating installations diam. 16mm, I took 10 meters of pipe and I divided it into four equal parts in order to have 4 loops of less than a meter in diameter. 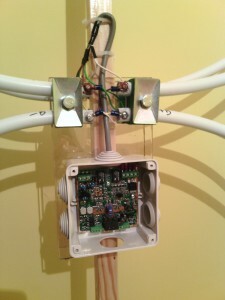 The loops are parallel two by two by means of the wires of the same length as they exit from the amplifier board. The wooden pole is about 2 meters long and was stained with protective paint. I am currently finishing the control box that contains the control board for the remote amplifier. 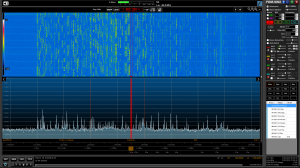 Today I did some tests with loop antenna into my station radio and I must admit that I was impressed from these first tests. 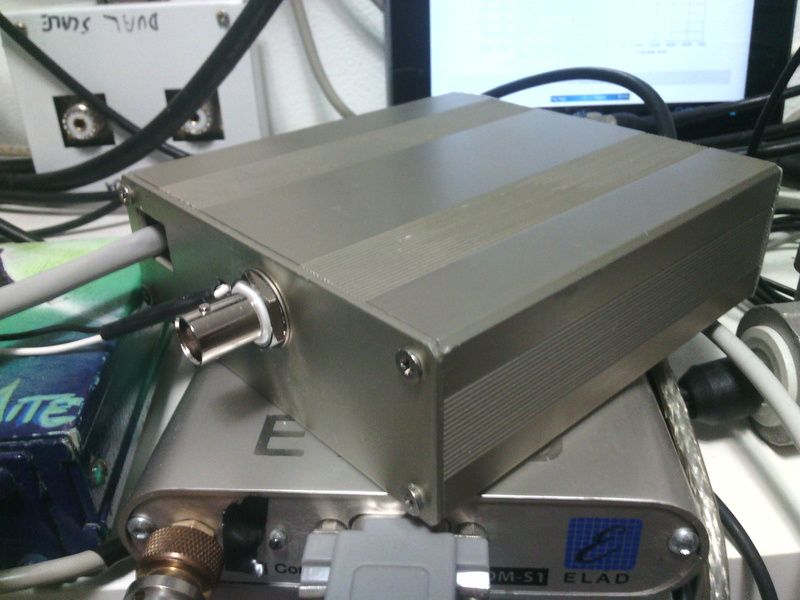 Here follow some photos about the remote control box where I can choose the antenna modes. 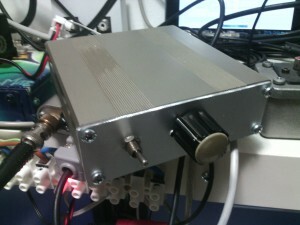 The next step will consist to connect the control board to the PC so to select via software the antenna mode. The loop at the moment is over the solar panel for the hot water, but I would move it higher and far from metallic masses even if antenna loop mode function shouldn’t be influenced by them. 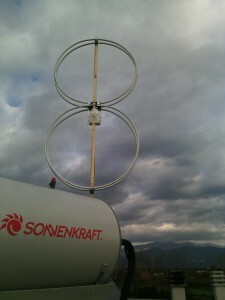 The last image shows the loop on 160 meter band during the last CQ WW CW Contest. Looks great,will see how is going for the low band receiving!